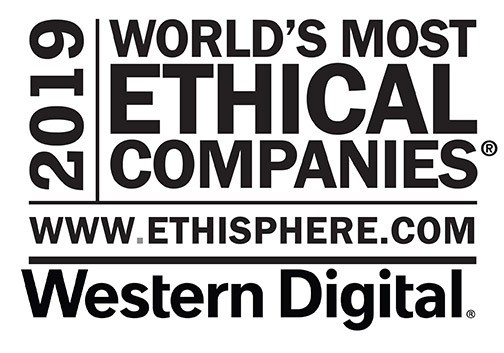 Las Vegas, NV—The Ethisphere Institute recognized Western Digital Corporation as one of the World’s Most Ethical Companies. 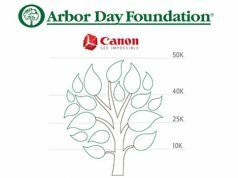 The recognition honors those companies who recognize their critical role to influence and drive positive change in the business community and societies around the world. Ethisphere Institute is a global leader in defining and advancing the standards of ethical business practices. “We are honored to be recognized for the strong culture of ethics and integrity at Western Digital,” said Steve Milligan, CEO of Western Digital. “We have invested strategically in a sound ethics and compliance program. In addition, we have worked hard to earn the trust of our customers and business partners. And to inspire our employees, deliver value for our shareholders and improve our communities. 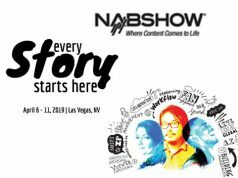 At Western Digital, doing our work with integrity matters.” In 2019, the Ethisphere Institute recognized 128 companies spanning 21 countries and 50 industries. The thirteenth class of honorees illustrate how companies continue to be the driving force for improving communities; building capable and empowered workforces; and fostering corporate cultures focused on ethics and a strong sense of purpose. Moreover, the World’s Most Ethical Companies assessment is based upon the Ethisphere Institute’s Ethics Quotient (EQ) framework. The EQ framework is a quantitative way to assess a company’s performance in an objective, consistent as well as standardized manner. The information collected provides a comprehensive sampling of definitive criteria of core competencies rather than all aspects of corporate governance, risk, sustainability, compliance and ethics. Furthermore, scores are generated in five key categories: ethics and compliance program (35%); culture of ethics (20%); corporate citizenship and responsibility (20%); governance (15%); and leadership and reputation (10%). In addition, all companies that participate in the assessment process receive their scores. Moreover, the scores providing them with valuable insights into how they stack up against leading organizations. To view the full list of the 2019 World’s Most Ethical Companies, visit https://worldsmostethicalcompanies.com/honorees. WD’s data-centric solutions include the Western Digital, G-Technology, SanDisk, Upthere as well as the WD brands.